Hey, guys! 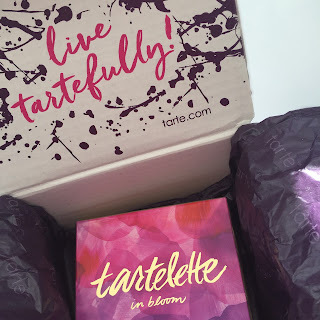 So I was browsing the internet one day, minding my own business and I came across a Tarte advert, which said they had a deal on where they shipped to the UK for free! 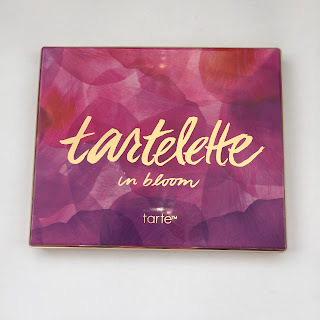 It honestly made me so happy as Tarte isn't widely available and quite hard to get in the UK so I ordered the tartelette in bloom palette and I'm honestly so glad I did! 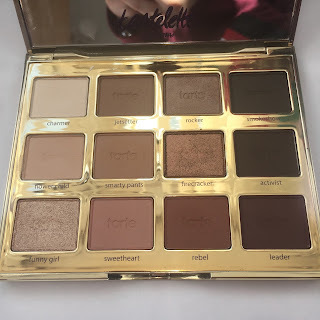 As I know it's a palette that a lot of people want so I decided to review it and show it to you guys my thoughts and opinions! I definitely give this product a 10/10 because I mean look at it. It's so beautiful I'm actually in love with it. There isn't a fault with this palette, I honestly think everyone needs to own it and see it because it's God in a palette. 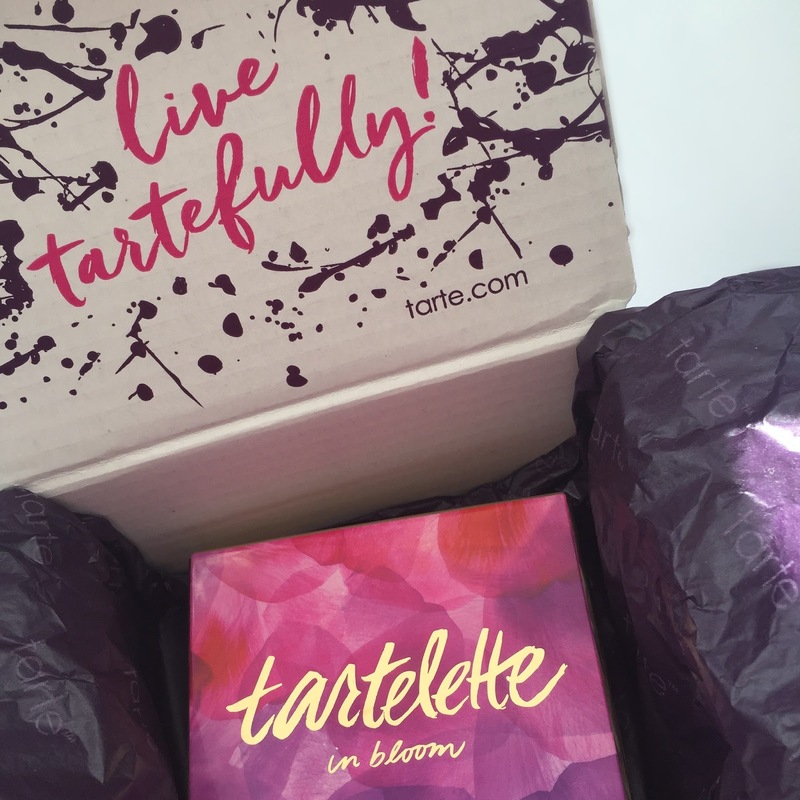 To start with the packaging. Oh my lord. This is honestly the prettiest palette I own. The gold looks so classy and goes with the pink/purple/red and the font is so pretty! I could honestly look at this forever, it's really aesthetically pleasing. Also, the box it came in was so cute I really liked it and obviously am going to hoard it forever. The price of this palette is pretty reasonable, £33 for 12 shades which is cheaper then the naked palettes and I think you get more product in. I would say it's worth it, BUT annoyingly my parcel got caught in customs and j had to pay an extra £15 for it and got it a week later then I would have expected but I suppose it's unavoidable. 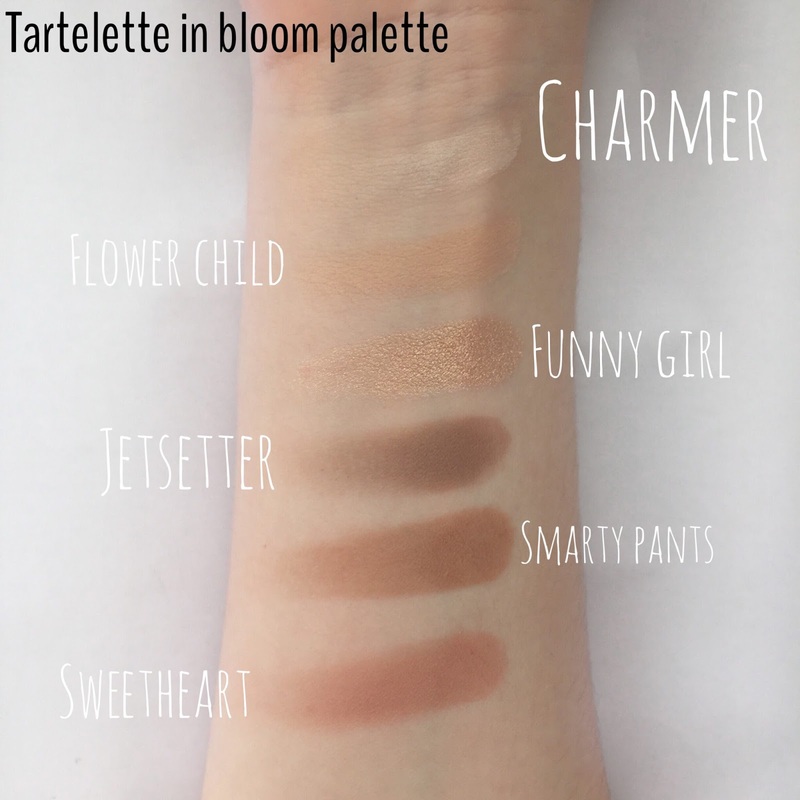 The palette includes 12 shades, With 9 mattes and 3 luster finished eyeshadows and they are amazing. 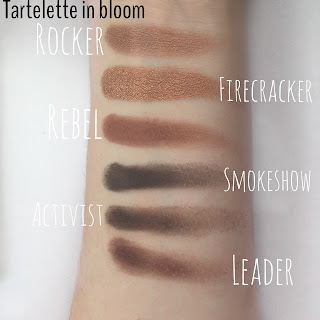 There all natural and wearable and have so many shades to make so many different looks! 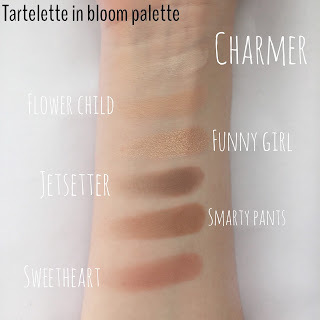 This palette is one of the only palettes you would ever need, it has all the natural and super wearable shades, you can do smokey eyes, natural eyes or in between! And it had a mirror. Random time to put it but it has a big mirror that will he so useful and if you're ever travelling it is so good to use! 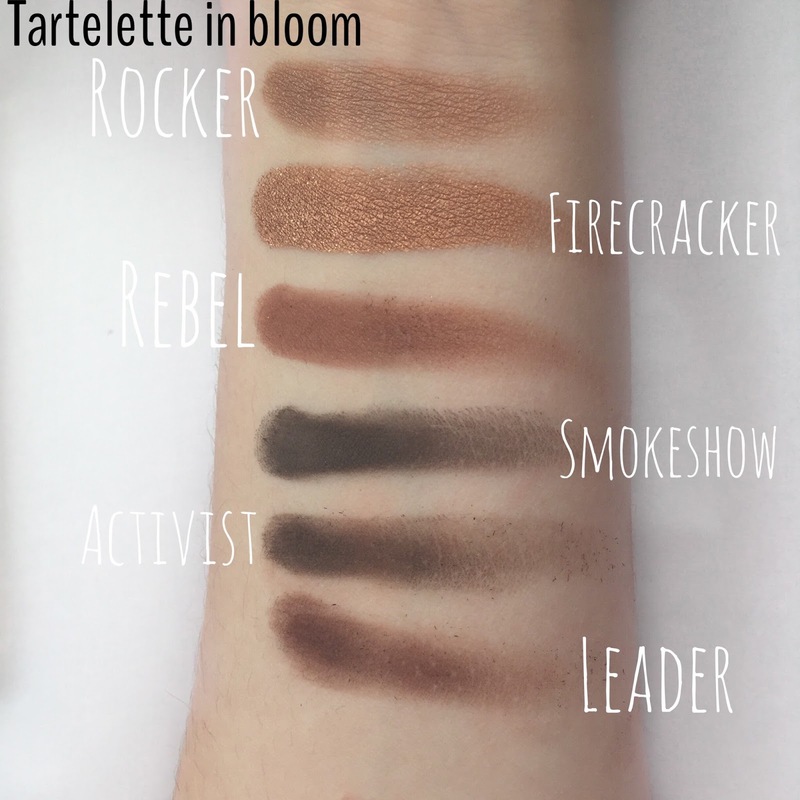 So I hope you guys enjoy this review, I honestly loved writing this because the palette is breathtaking and I think everyone should buy it. Go out and buy it now.